Shining a light on Holocaust survivors’ stories in a world that can’t wait to forget. Just over a month ago, I met a Holocaust survivor for the first time. I was nervous, and though I had been preparing for months before our official meeting, the experience was more inspiring than I could ever have anticipated. When he first arrived, my interview partner and I were so star-struck that I briefly lost my aptitude with the English language altogether, and fell down an embarrassing rabbit hole of unremarkable small talk regarding the weather. When I finally got hold of myself, I began to wonder—what do you talk about with someone who has survived more than you could ever imagine? The interview was made possible by the English Department of Langara College where I attend, located in the beautiful city of Vancouver, Canada. The “Writing Lives Program” was established in September of 2016 with the intent to not only preserve the memories of Holocaust survivors but also to actively combat the ugly resurgence of anti-Semitism in today’s culture. After months of attending thematically haunting lectures and analyzing depressing literature, I thought nothing could possibly faze me anymore—a thought that could win me a prize for one of the world’s greatest under-estimations. The man I had the pleasure of interviewing was a well-known Holocaust survivor named Robert Waisman, known to many as just “Robbie.” At the tender age of eighty-six, he still stands with the vigor of a much younger man, and his sweet and joyful spirit quickly dissolved my initial anxiety. And so we embarked on the most intense storytelling journey I have ever experienced. His personal account was unlike any I had ever heard, because not only was it the person sitting next to me telling me this, but also he made sure to point out every miracle that kept him alive, and every act of God that gave him the will to keep going. I realized this was a man bent on more than just survival—his medicine was hope. 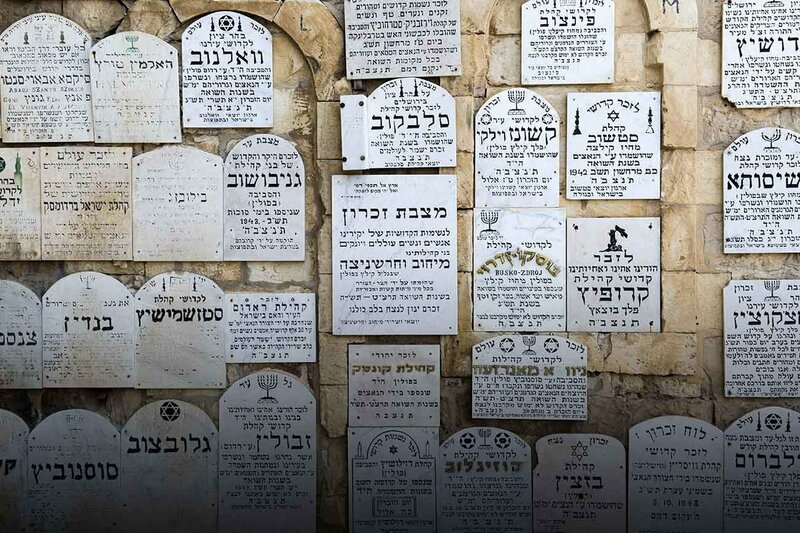 As the years have passed, and fewer and fewer Holocaust survivors are still alive to tell their stories, they look to us—the next generation—to bear the torch for them. If I have learned anything from my interview with Robbie, it is that we must not stay silent. Persevering despite social stigmas is at the core of what it means to be Messianic, and with that power, we must continue to speak up. We must not fall victim to social pressures because the future is in our hands. In a world that wants us to keep silent, it is every survivor’s hope that we raise our voices—that we proclaim the truth until our breath runs out. Our sacred duty is to empower the ones who can no longer empower themselves, and the key to making sure history never repeats itself is to tell their stories. Look out for what we are now planning. Camp Tzadi will be hosted by a host camp in Rolla, Missouri. Join our 2-week summer camp for Messianic youth and enrich your faith! If we don’t remember, who will? Catch the fire and get inspired. Are we called to take action against suffering? With the technology of social media we are more connected than ever before, and yet most of us feel more lonely than ever. How do we find the beauty in waiting for life to happen? Transition and growth in leadership. Growing up within the Christian faith, I always found myself trying to figure out what it meant to live as Jesus did. I would argue that those who leave the faith whether temporarily or permanently perhaps aren’t as rebellious as you think. They aren’t the real rebels. You are. © 2019 FIRST FRUITS OF ZION. All rights reserved.